The perfect home base for a visit to the Redwood Coast— convenient, welcoming and best of all, affordable! Located on Hwy 101 near the junction of Hwy 36 (to Red Bluff). With many choices for lodging and dining, Fortuna is a good launching base for your day trips. 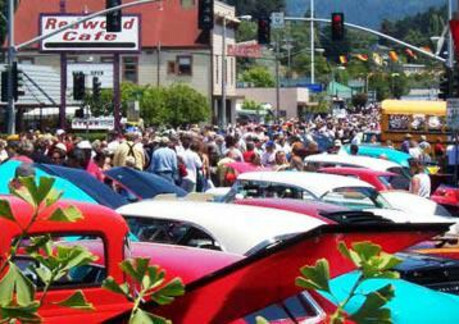 Fortuna comes alive in the summer with homegrown events for the whole family, with an entire week of festivities celebrating the Fortuna Rodeo (including a high-spirited Chili Cook-off), the nationally known Redwood AutoXpo, Hops in Humboldt beer festival, Art and Wine in the Park, and the Farmer’s Market found downtown every Tuesday afternoon, May thru October. In the fall, Fortuna honors autumn with the Apple Harvest Festival. Local Attractions: Fortuna Depot Museum, Rohner Park, River Lodge Conference Center with heather garden and the Eel River trail. 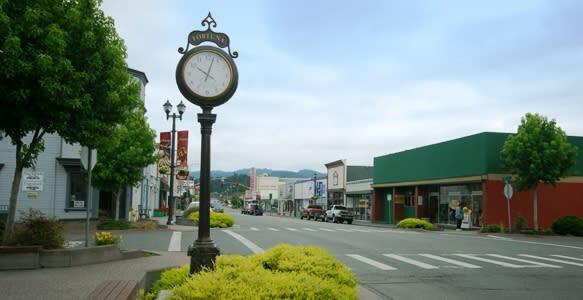 Fortuna is within minutes of the, Bear River Casino.